As the candlelight flickered over the white marble figures, I could feel the emotions in the well-chiseled features pulsate through my heart and gut as I relived some of the most famous stories from Greek mythology. That evening, I was visiting the Gypsotheca (means ‘collection of plasters’) of Antonio Canova during my trip to Asolo (the only other designated wine area in Prosecco given the highest quality status DOCG, other than Conegliano Valdobbiadene) to view the original Canova cast plaster molds that have created some of the most famous marble statues in the world. These molds are best seen when lit by the warm hue of candles as the delicate lines seemingly cascade into movement before one’s eyes. Canova was one of the most celebrated sculptors as well as one of the most renowned artists during the time he lived (1757-1822) but these facts are only amplified by the knowledge that intense tragedy came crashing down on his life twice: when he was 4, he lost his father and his grandfather took over his upbringing for the first part of his childhood, passing on to him the family’s trade as stone-cutters and sculptors, and a serious injury that he sustained while chiseling a slab of marble at the age of 23 that would force him to adhere to an exclusively liquid diet for the rest of his life. Sometimes life does not work out the way we would have liked and it shapes our world in a deep way. 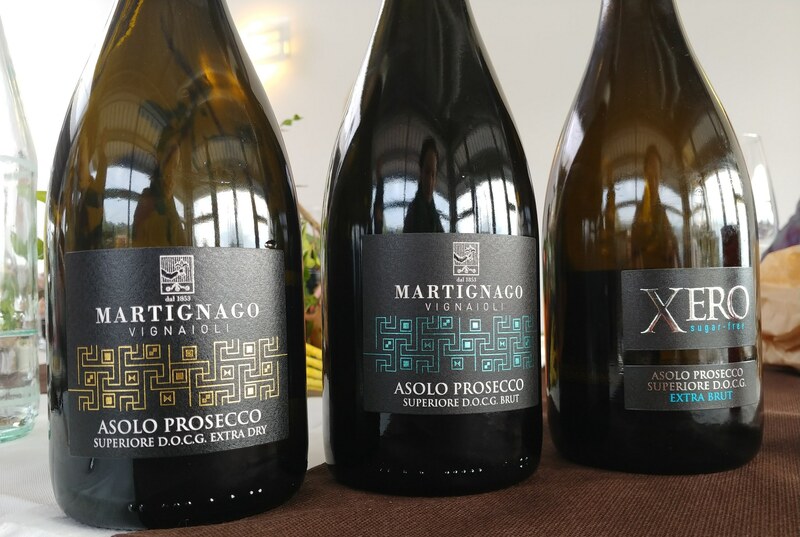 One of the small producers we visited in the Asolo DOCG Prosecco area was Martignago, who also produces refined reds, a white and rosé we tasted that were made from diverse varieties as the Asolo area has had a long history of growing a multitude of grapes. 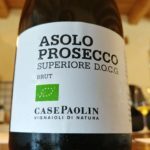 This diversity is why other classifications such as Montello DOCG and Montello-Colli Asolani DOC exist, but talking about these other classifications may make things confusing, the most important thing to note is that Asolo Prosecco Superiore DOCG is the main wine that many of these producers focus on. As he showed us around the winery and vineyards, the winemaker and owner, Simone Morlin, talked about how his plan in life was to work for his father-in-law (who had the last name Martignago), but his life did not work out the way he wanted when his father-in-law suddenly passed away. Simone was placed in a position where he had to find a way to go on, just like Canova did for most of his life, and Simone was guided by the history of the Martignago family as well as the legacy of his step-father. Simone proudly showed us his mound of compost and their organic practices – his wines will be officially certified organic starting with the 2018 vintage – and I noted a sweet message on their website in regards to them undergoing the organic process, “hearts could heal as they no longer used pesticides that were a detriment to human health”. As I walked away from his wonderful tasting of truly exciting wines, I saw another commitment to his quality and sustainability: a FIVI (Italian Federation of Independent Winegrowers) poster on the wall, an organization that only allows members that follow some of the strictest practices from vineyards to bottling into their group, and looking back, considering that sweet message on their website, I cannot help but think that part of Simone’s fierce passion for sustainability is rooted in the sudden loss of his mentor/father-in-law. Another producer that is part of the FIVI group is Bele Casel. 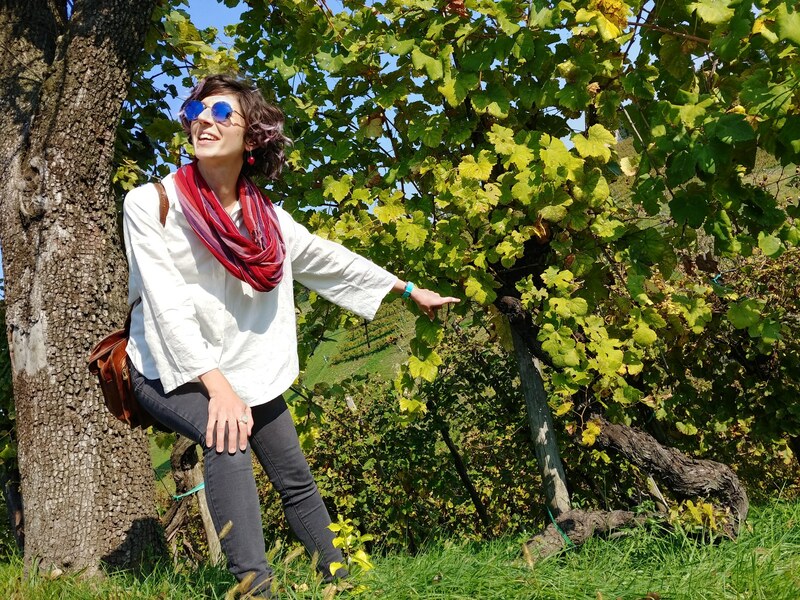 Paola Ferraro showed us around her family’s winery, as well as her home, to talk about how her father started out selling supplies to large wineries making Prosecco, and hence, he was able to buy used equipment from these other wineries when the time came for him to start his tiny family production. 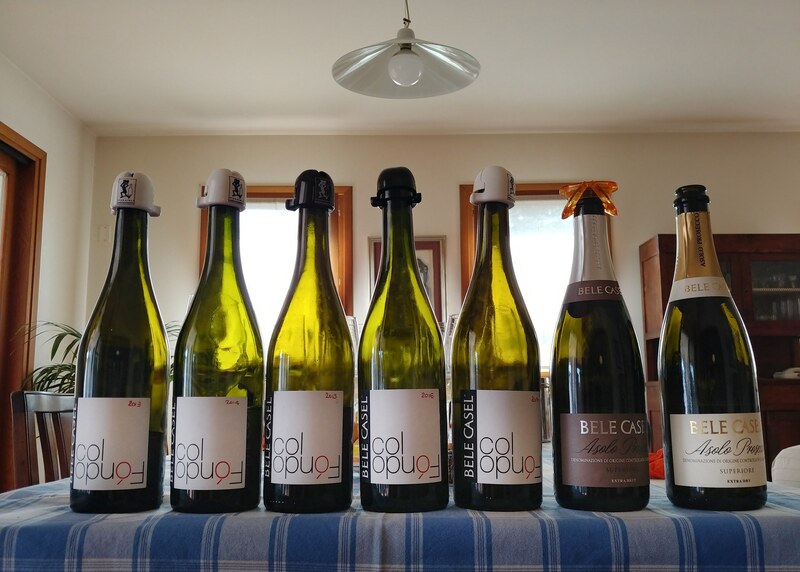 Bele Casel’s advantage of being able to bottle their own wines, instead of hiring an outside company to bottle them, was key to their top quality status in the Prosecco world. Every corner of the Bele Casel winery reflected the idea that its heart was rooted in the family as there are chalk drawings from Paola’s nephew on the walls, who played in their steep Monfumo vineyards (known as one of the top communes in Asolo, like Cartizze in Conegliano Valdobbiadene) that I visited later that day, and the old shell from a tank during WWI, serving as a reminder that the Asolo area was one of the places devastated during “the war to end all wars”, was placed on a table at the front of the winery… Paola said that it was important to remember the stories of her family and neighbors’ suffering during that time, and hence the shell was there to remind them of the price that had to be paid for freedom every day. The idea that Bele Casel could bottle their own wines made it possible for them to produce high quality “Col Fondo” Asolo Prosecco (leaving the lees from the secondary fermentation that creates the bubbles in bottles) which has become a niche Prosecco that is much more complex in flavors and texture. Col Fondo is the traditional way that producers made Prosecco in the area and Bele Casel has brought that tradition back, yet improved upon it with modern advances in the cellar as well in the vineyards. Antonio Canova was an important part of the Neoclassical movement that went back to Greco-Roman ideals that were, many times, rooted in the Greek mythology that many of us learned about when we were children. But instead of building enormous, towering statues, he created more life sized carvings that had shockingly natural lines; one could see himself/herself in Canova’s creation. At one point we were able to see a recreation of Canova’s studio and his arduous process: from drawings, to tiny clay model, to the many layers of terracotta and plasters to create the life sized plaster mold, to hammering brass nails every few inches, to measuring each section between the brass nails, to chiseling those measurements into the marble slab, to polishing the statues by candlelight which would bring these figures to life. Canova brought a fresh outlook to these ancient characters of times past, just like what Bele Casel is doing for Col Fondo… also the devastation of WWI was evident during our visit to Canova’s Gypsotheca as part of the roof was being repaired from bombing during that time and it took a few decades to recover from a bleak economy so that there would be funds to do the construction. 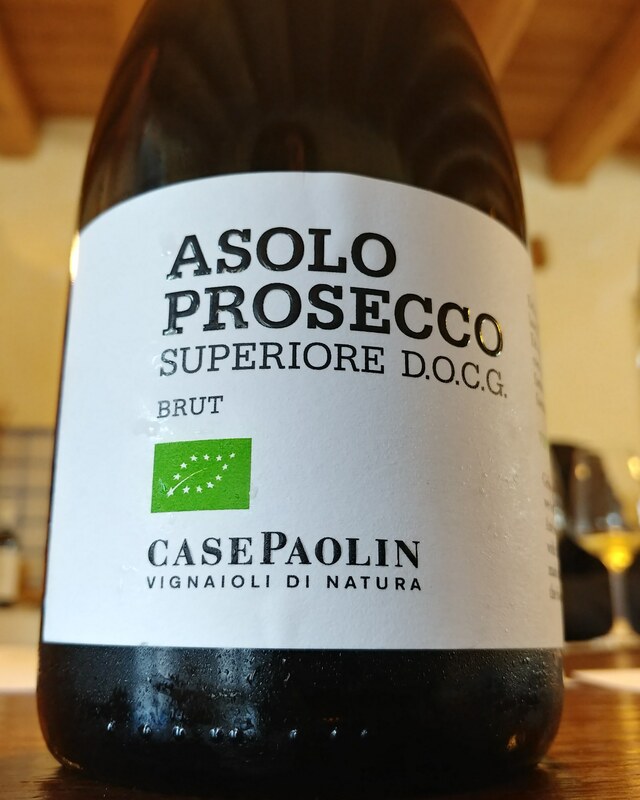 Case Paolin is also a small winery keeping the Asolo Prosecco Col Fondo tradition alive, and both Bele Casel and Case Paolin have a niche following for their wines here in the US. 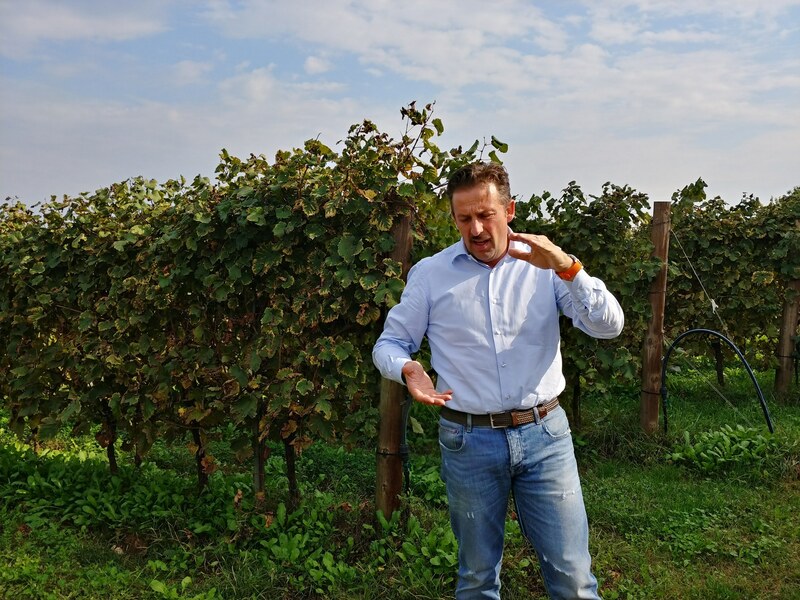 Mirco Pozzobon , one of the sons of the founder, showed us around his family’s organic vineyards and winery that makes Asolo Prosecco DOCG as well as some outstanding reds. 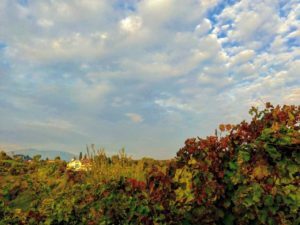 Mirco’s father, Emilio, started to use sustainable practices in the 1980s, before it became fashionable, and then they became certified organic with the 2012 vintage. History surrounded us at Case Paolin as their winery was in a 300 year old building and their home/tasting room was a 90 year old house that used to house 20 families after WWII. Mirco talked about going back to the traditional practices of farming but doing it with more knowledge and resources, such as trying to avoid copper, which is allowed in organic farming, and making sure that the main grape for Prosecco, Glera, is only hand picked as the skins are delicate; most Asolo Prosecco DOCG wines come from hand harvested grapes. 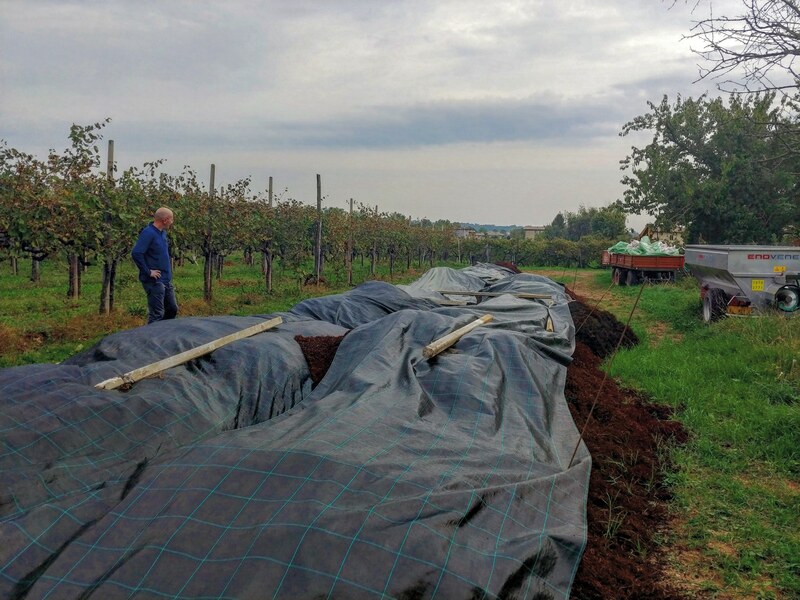 Mirco explained his theory of organic viticulture the best by saying, “You rent for your son,” noting that we have a responsibility for future generations. The Asolo area went into an economic depression after suffering such destruction during the two World Wars and a focus on factories to help the local people emerged. Many of these factory workers lived in homes that were divided into several rooms for each family to accommodate the massive amount of people left homeless by the wars. 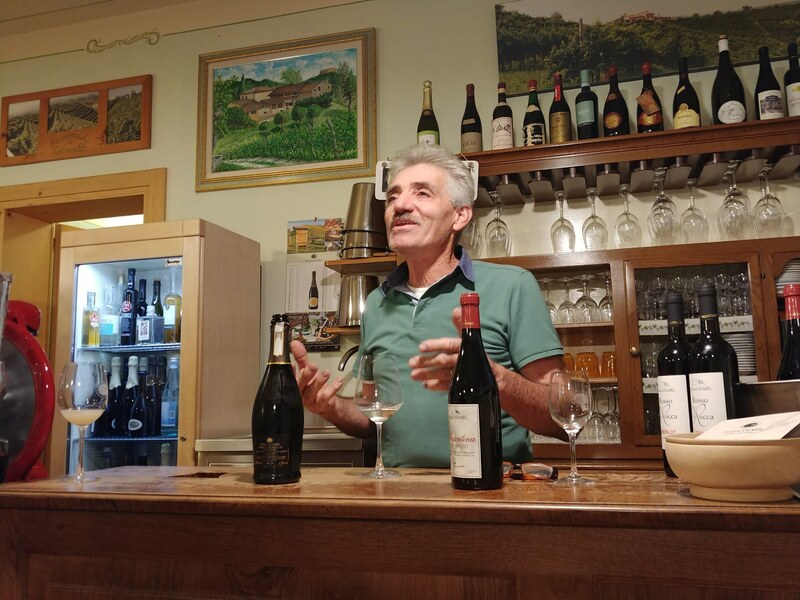 Through the decades, Asolo has come back from as early as the 1980s as being one of the poorest areas in Italy to having one of the top economies. It is said that the Asolo people are not afraid of hard work and their fierce work ethic, combined with their evident creativity, which is noted from all the great artists and writers that have been inspired by this special place, creates wines that are solidly well-made yet exciting in their expression… such as the respected wines of Case Paolin. Asolo is nicknamed the city of a hundred horizons and I witnessed dozens of golden views during my trip there that reached their pinnacle once I viewed the astonishing vineyards at Pat del Colmèl in an ancient rural village called Colmèl dei Pat. The Forner family was the custodian of this land where they had deep roots as noted by the fact that their ancestors were given the nickname “Pat”. Lino Forner is not only the leader of this company but also the passionate champion for the protection of rare local varieties such as the glistening Rabbiosa and the deeply purplish-blue Recantina grapes. 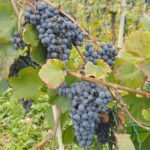 These grape varieties had fallen out of favor as they were not as easy to sell as Glera, or Cabernet Sauvignon for that matter. 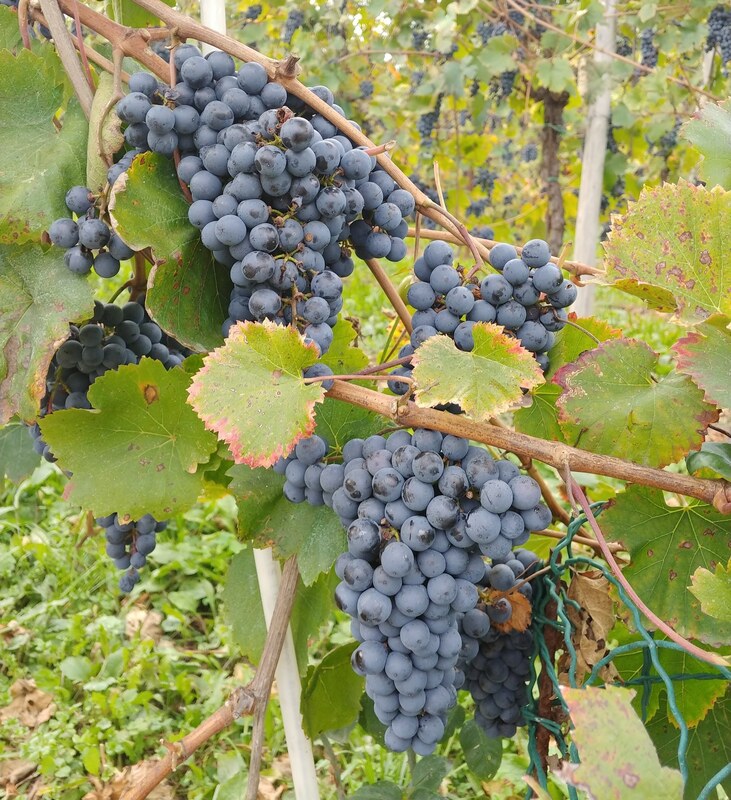 It is interesting to note that many of these old varieties are resistant to powdery mildew and downy mildew which plague the Asolo and Montello areas in difficult years. Glera is also seen as a cherished indigenous variety that unfortunately has been made into simple quaffing wines by other producers around the world due to its popularity, yet it can make elegant wines that articulate a sense of place and a palette of flavors evident by the Asolo Prosecco Superiore DOCG wines I tasted throughout a myriad of tastings. 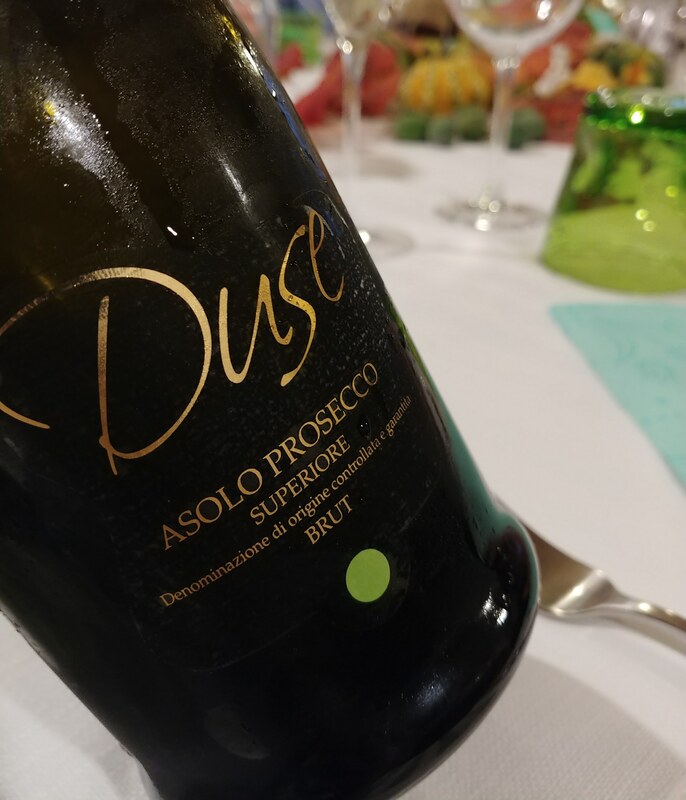 A theme for many of these Asolo Prosecco producers was their commitment to excellence and expressing the fine nuances of Glera, whether that is what the market was looking for or not. In a way, it is part of who Asolo is as a people that not only strives to survive, and they were put to that test in the worst way during the World Wars, but to never stop reaching for something greater, to go beyond the mundane even at the risk of one’s personal comfort. One of the plaster molds in the Canova Gypsotheca, Daedalus and Icarus, expressed a deeper story that went beyond the Greek myth of the father, Daedalus, who made wings for his son, Icarus, and himself out of wax so they could escape danger. Daedalus ended up seeing his son, Icarus, fly too close to the sun thereby melting his wings and causing him to perish by falling into the sea, now called the Icarian Sea. A couple of details were pointed out about this plaster mold that made it an autobiographical piece: Daedalus was sculptured as a significantly older man that looked to be the grandfather of Icarus (a young boy), and a hammer and a chisel, typical instruments of the sculptor, laid by the foot of Daedalus, which was odd as he was an inventor and architect, not an artist. But Antonio Canova was reflecting his own life of how his grandfather taught him the skills he would need that would begin his journey to become one of the greatest sculptors in the world… he gave Canova his wings and Canova was thanking his grandfather, who had passed away by the time he made this statue. Also, it is interesting to note that Canova was 20 years old when he made Daedalus and Icarus before his serious injury at 23 that was caused by his obsession of trying to create the fine nuanced lines in his marble that make them astonishing even today… in a way, Canova flew too close to the sun but survived it. The spirit of Antonio Canova pumps through the blood of these small Asolo Prosecco DOCG producers. 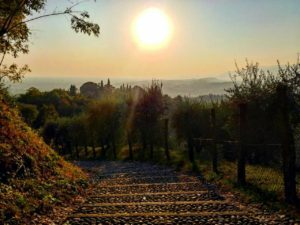 They are wired to reach for the sun that shows itself to them as an exquisitely golden light as they look from their Asolo vineyards. 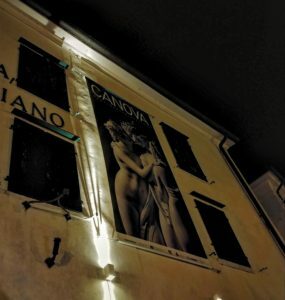 I like to think that all of us have that passion within us, and I’m sure we have felt it at least once in our life, to reach for the impossible… yet the reality is we get burned a few times and then choose the safe path out of fear… but not Canova… not the small Asolo producers whose ancestors had survived the most hellish of circumstances having their world destroyed by war. They will not deny their soul which can be found in their soil and native grapes that demand to be in the hands of people who will try to fly towards the sun. 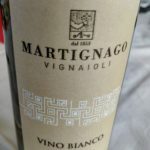 Martignago (October 16th, 2018) – You may see some changes to their labels compared to those bottles in my photos to those you see on their website. 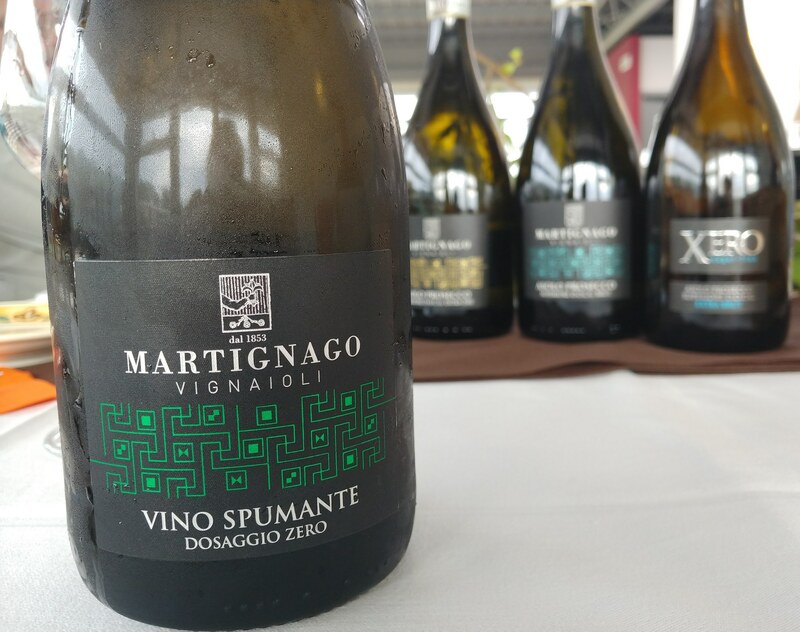 –Martignago, Xero (Sugar-Free), Extra Brut: 100% Glera. Xero means dry in Greek or zero in Venetian. 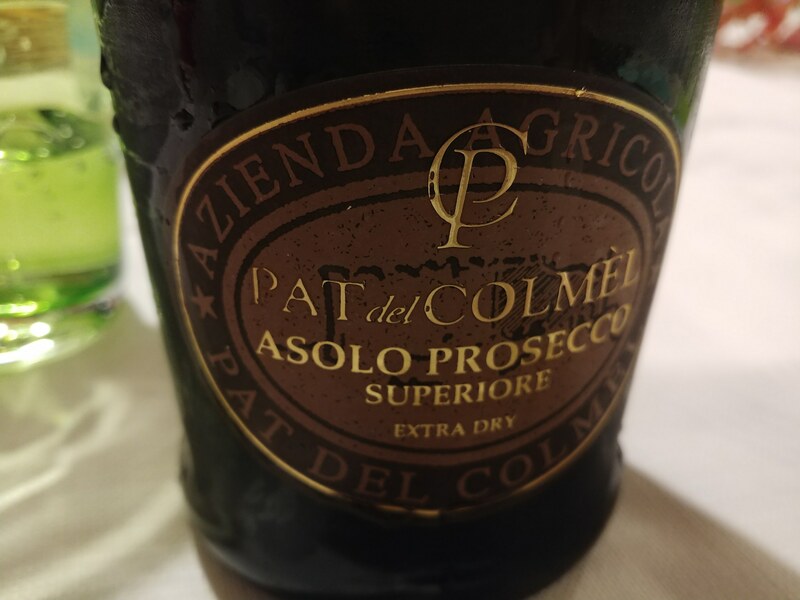 Normally I dislike things that are fat-free or sugar-free, but in this case I was really impressed; Prosecco wines are naturally dry and usually have a bit of sugar added (dosage) to balance them out but this wine did not need it. Intense minerality, which I found in many Asolo Prosecco DOCG wines, with lemon zest and a linear, vigorous palate. 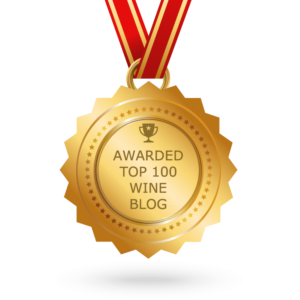 –Martignago, Brut: 100% Glera. Much more perfume with juicy white peach and broader body. –Martignago, Extra Dry: 100% Glera. Much more sweet fruit with a hint of wet stones on the finish. –Martignago, Vino Spumante, Col Fondo (this wine seems to not be technically an Asolo Prosecco DOCG but I added it as it is high quality and in same style): As I mentioned before, Col Fondo is when Prosecco has the secondary fermentation in bottle to create the bubbles, like Champagne, yet it is not disgorged and so it still has the lees creating a much more complex style – this is the traditional way they did it, out of necessity, and some producers are bringing it back but making the wines more refined by using modern technology. I was really impressed with this Col Fondo (some skin contact during 1st fermentation) as it had a creamy texture, lots of minerality, roasted nuts, bruised apples and a spicy finish. It was like a fine white wine. 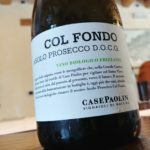 Bele Casel (October 14th, 2018) – Bele Casel gave a vertical of their Col Fondo. 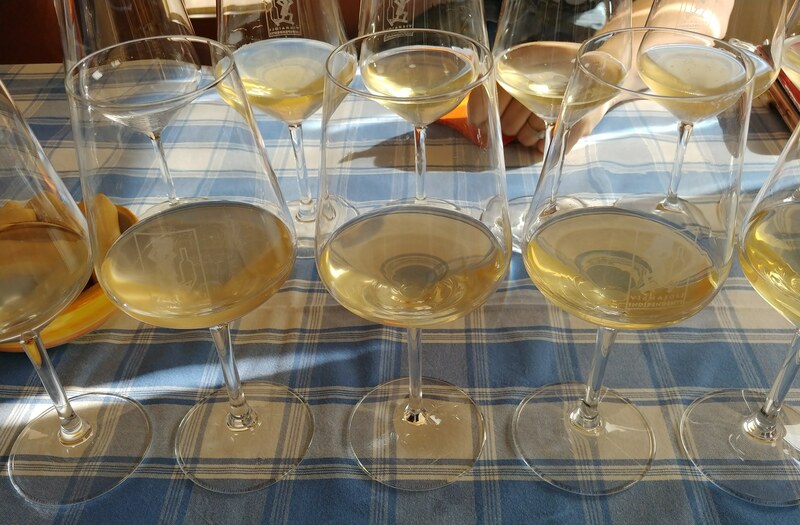 All of their Col Fondo wines are majority Glera, at least 85%, with other ancient, native white varieties Bianchetta and Perera. 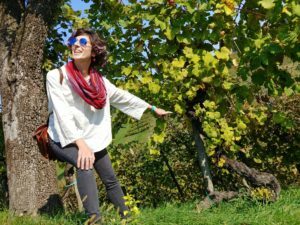 Also, they said there may be minuscule amounts of Marzemina Bianca and Rabbiosa native white varieties as they work with old vineyards that were co-planted with these other varieties at one time. 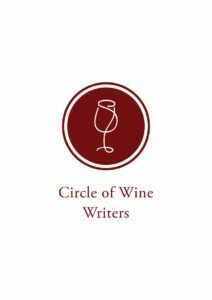 –2017 Bele Casel, Col Fondo: Intriguing notes of ginger, anise seed and marked acidity that had hints of rose oil on the finish. A low-yielding vintage due to spring frost. 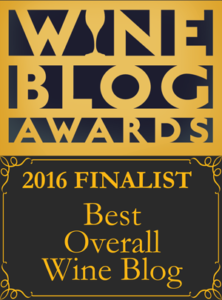 –2016 Bele Casel, Col Fondo: More bread-y, baking spice notes (cinnamon) with a creamy body. -2015 Bele Casel, Col Fondo: Citrus blossom and cardamom tea with lean body and sharp-edged acidity. One of the driest vintages in modern history and they used a little bit of irrigation because they were losing too many leaves on the vines. 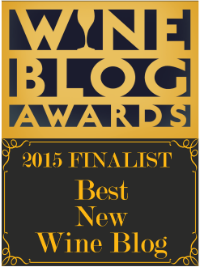 -2014 Bele Casel, Col Fondo: Stewed peaches with caramelized figs and flinty minerality. Lush body yet the fierce acidity jump starts your mid-palate. -2013 Bele Casel, Col Fondo: Candied lilacs, golden apples and lemon-lime Jolly Ranchers candy (in the good way because I love Jolly Ranchers) with seashell. 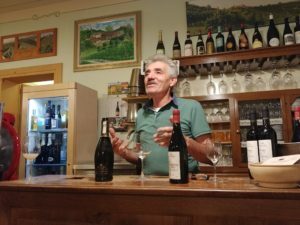 –Bele Casel, Extra Brut: Majority Glera with Bianchetta and Perera. Green mango with pineapple and mouth watering acidity. –Bele Casel, Extra Dry: Mostly Glera. Peach syrup with dried pineapple and wildflowers with a floral finish. –Case Paolin Brut: 100% Glera. Bright and vigorous with lots of tension with peach skin, citrus pith and a chalky minerality – long length, very energetic. –Case Paolin 2017 Col Fondo: 100% Glera. 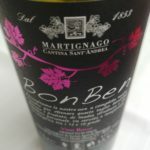 Fennel fronds and ripe apricots with richness on the palate. –Case Paolin 2015 Col Fondo: 100% Glera. Smoky minerality and kaffir lime leaves with linear body and sharp acidity. 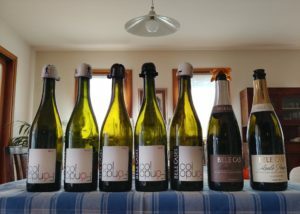 –Pat del Colmèl, Duse, Brut: 100% Glera. Named after one of the most famous Italian actresses, Eleonora Duse, known simply as Duse, who was admired for her complete immersion into a role. Also, Pat del Colmèl wines have the logo of a bee on their wines noting their commitment to biodiversity. 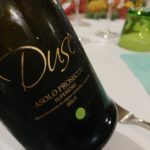 Intense stony minerality (a sense of minerality is a marker for Asolo Prosecco DOCG wines) with citrus peel and mouth watering finish. –Pat del Colmèl, Extra Dry: 100% Glera. Fleshier than the Brut with more floral aromatics. –Pat del Colmèl, Duse, Millesimato Dry: 100% Glera. Deeply concentrated balanced by fresh acidity and bright fruit that had a sustained finish. 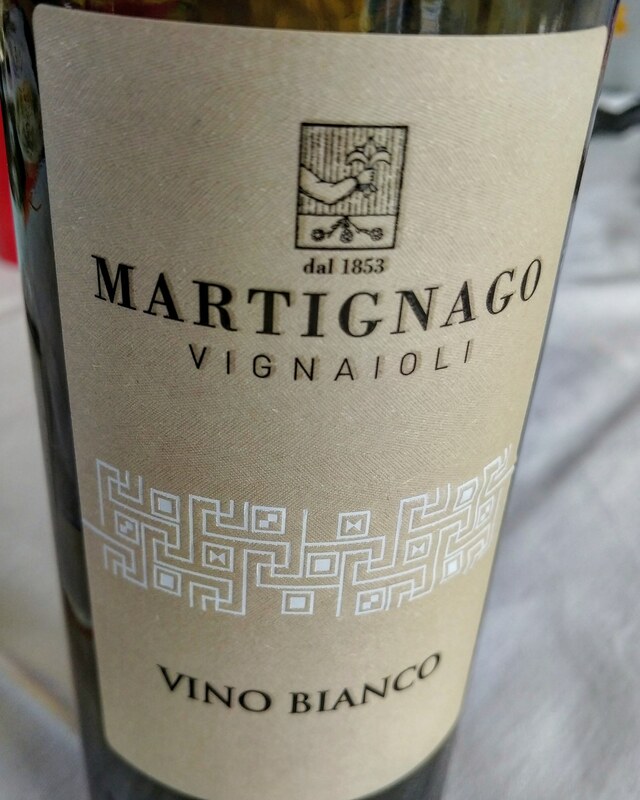 –2017 Martignago, Vino Bianco: A white still blend of Manzoni Bianco, Chardonnay, Muscat, Glera and Bianchetta. It is nicknamed “el Teribie” because it is always changing with each sip but it is so interesting that you forgive its terrible nature. A beautiful perfume with dried apricots, lush body balanced by some zest-y notes. 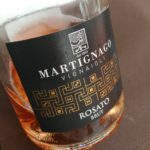 –Martignago, Rosato Brut: 50% Schiava and 50% Cabernet Sauvignon. 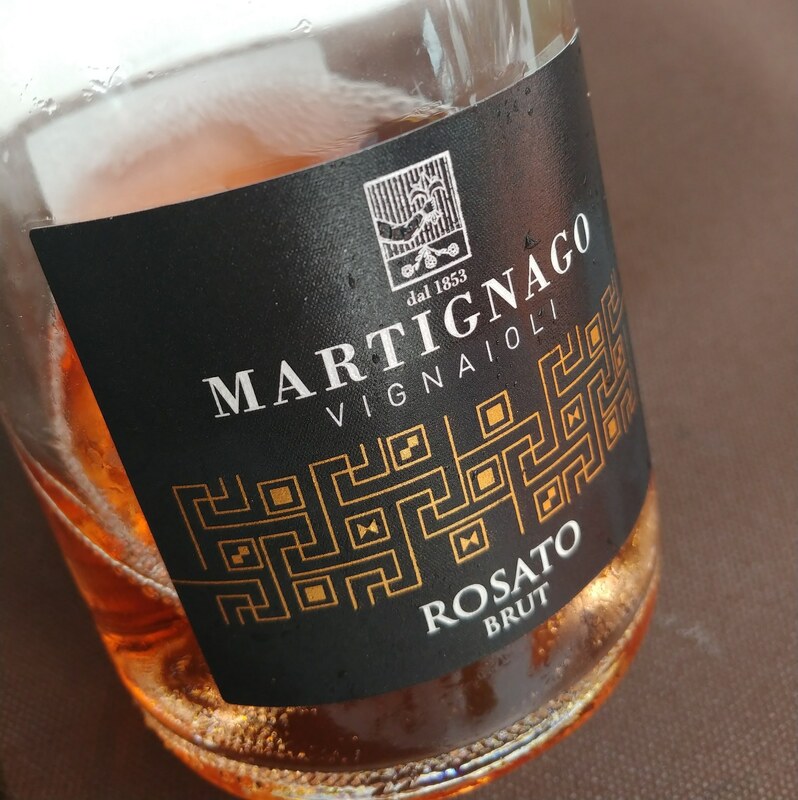 Sparkling rosato (rosé) wine with wild strawberries and floral notes that had textural, slightly grippy tannins that made this wine really food friendly. The pink, orange-hued color was stunning. 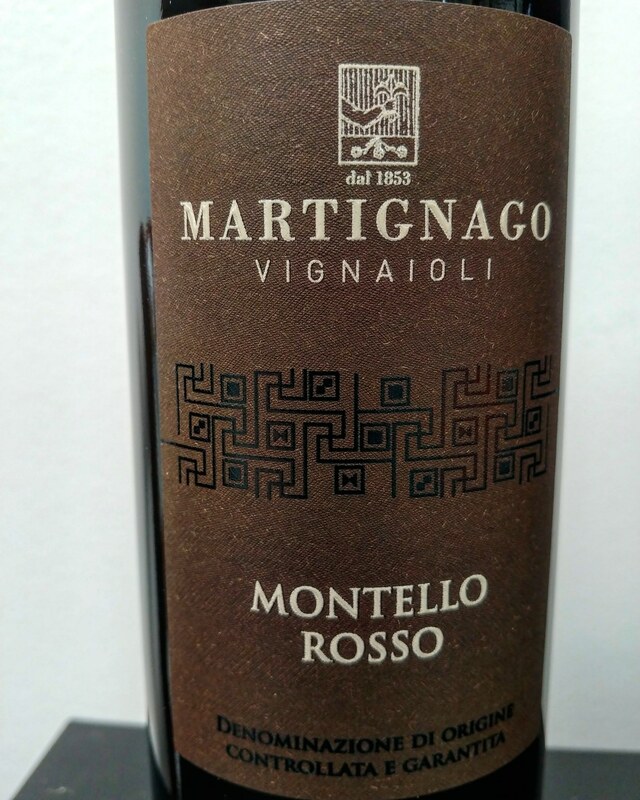 –2016 Martignago, Bon Ben: 70% Cabernet Sauvignon and 30% Merlot. Bon Ben means very good. 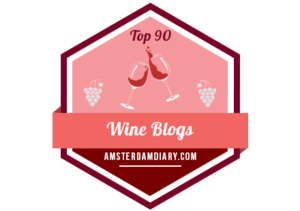 Blueberry and plum flavors that had restraint and moderate body with well-manicured tannins. 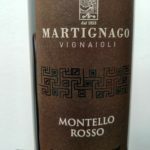 –2016 Martignago, Montello Rosso: 70% Cabernet Sauvignon and 30% Merlot. The Montello area has a great reputation for red wines and this one really illustrated that with elegant structure, gravelly notes and overall finesse. -2017 Case Paolin, Costa Degli Angeli, Manzoni Bianco: 100% Manzoni Bianco. Tart lemon curd with hints of chamomile tea and spice with intense acidity. 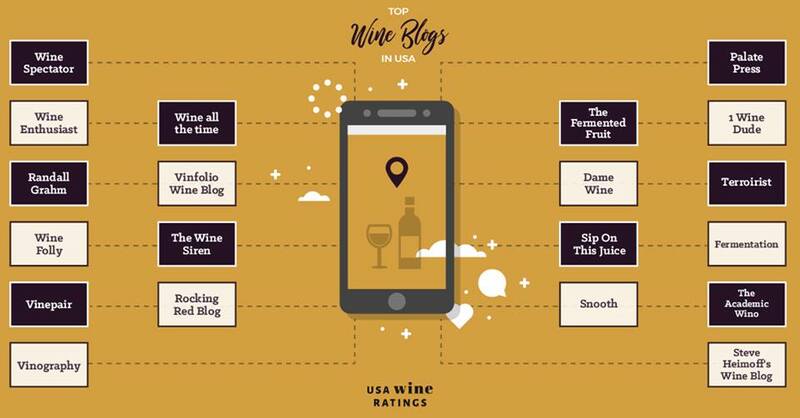 I like tart, acidic wines and so if that is your thing too, this is definitely up your alley. Manzoni Bianco is a man-made crossing created by Professor Manzoni in the Prosecco area in the 1930s. 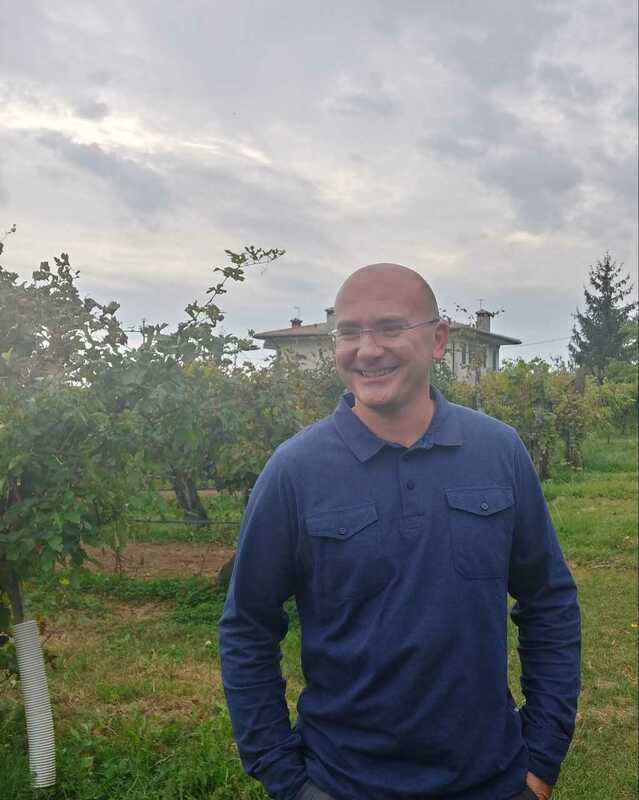 Manzoni was a brilliant man who created many crossings but the Manzoni Bianco, a crossing between Pinot Bianco with Italian Riesling, is his most successful as it balances the body and fruit of Pinot Bianco with the sense of minerality and high acidity of Riesling. 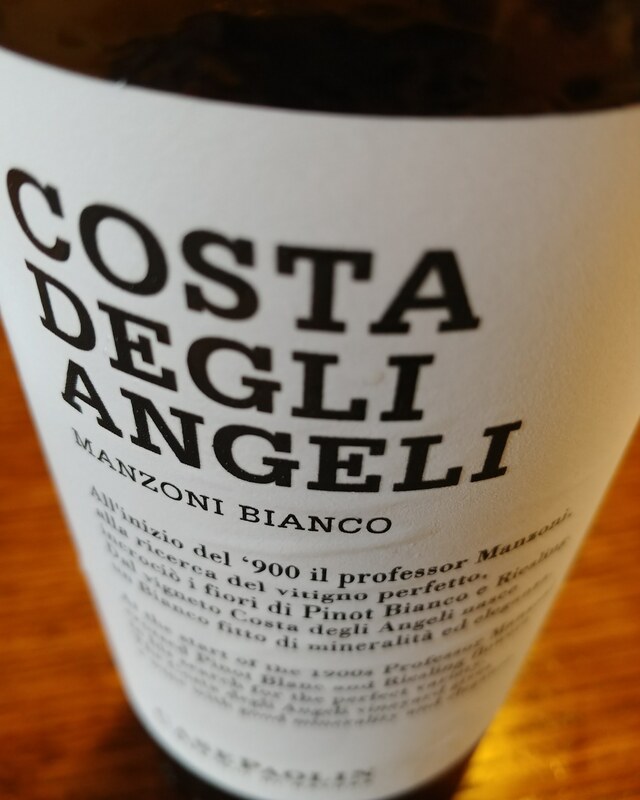 -2014 Case Paolin, Costa Deglia Angeli, Manzoni Bianco: 100% Manzoni Bianco. Flinty minerality with white flowers and softer acidity. 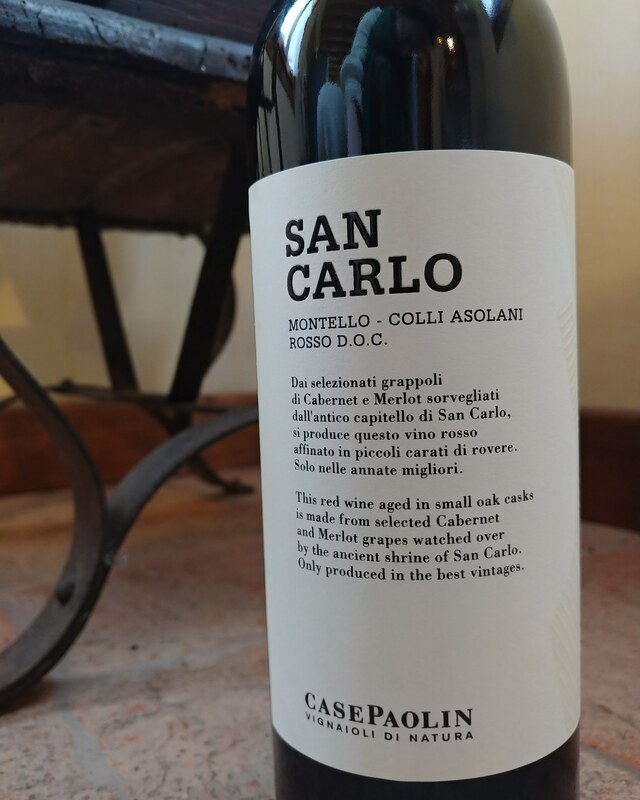 -2015 Case Paolin, San Carlo: 60% Cabernet Sauvignon, 20% Merlot and 20% Cabernet Franc. 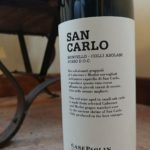 San Carlo comes from their vineyard at the top of the Montello hills and it is made only in the best years for that particular vineyard – there is no 2018, 2014 or 2010. 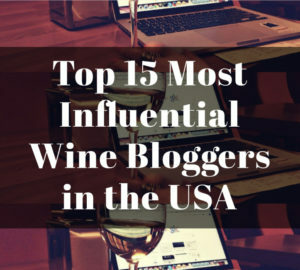 Montello is well-reputed for their Bordeaux red blends and this wine has received high praise from some wine critics around the world. Nutmeg spice with blackberry preserves and a hint of vanilla bean that are given shape by the muscular tannins. -2011 Case Paolin, San Carlo: 60% Cabernet Sauvignon, 20% Merlot and 20% Cabernet Franc. 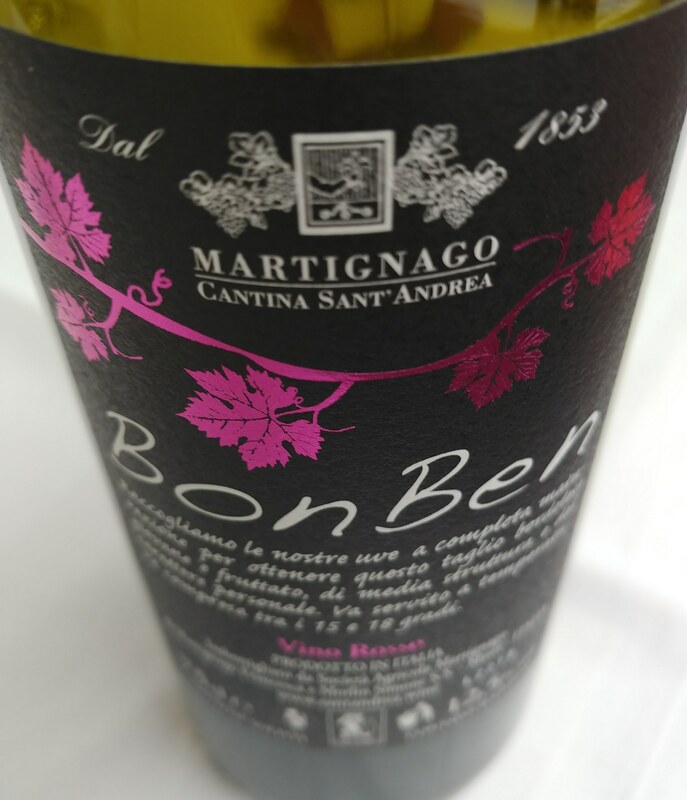 Sweet tobacco with smoldering earth and blueberry compote that dances across the well-integrated, silk-like tannins. 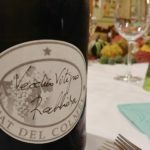 –Pat del Colmèl, Vecchio Vitigno Rabbiosa: 100% Rabbiosa sparkling wine. 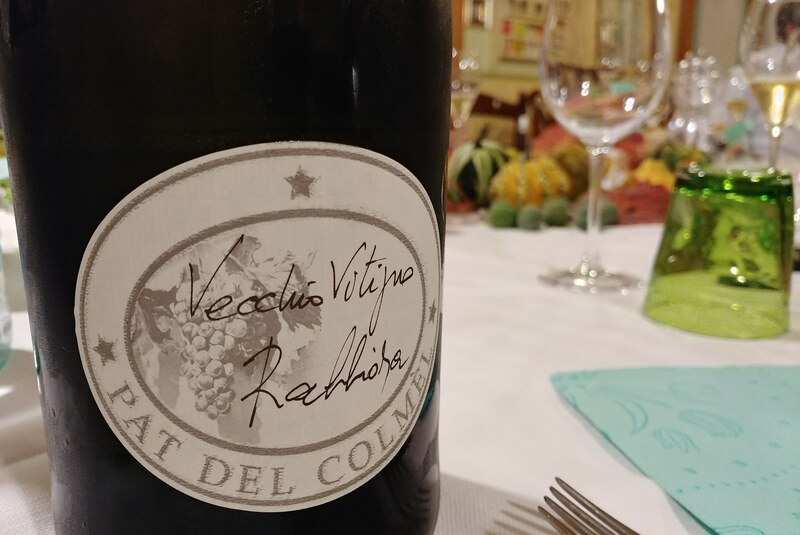 The white grape variety Rabbiosa (means “angry” because the acidity is so high), might be related to Durello a local variety (from Vicenza) with insanely high acidity, but DNA testing hasn’t been done. They make 1000 magnum bottles of traditional method sparkling Rabbiosa that ages on the lees for 50-60 months. Creamy body with saline minerality, lime and edgy acidity. 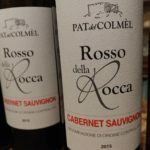 –2015 Pat del Colmèl, Recantina: 100% Recantina. 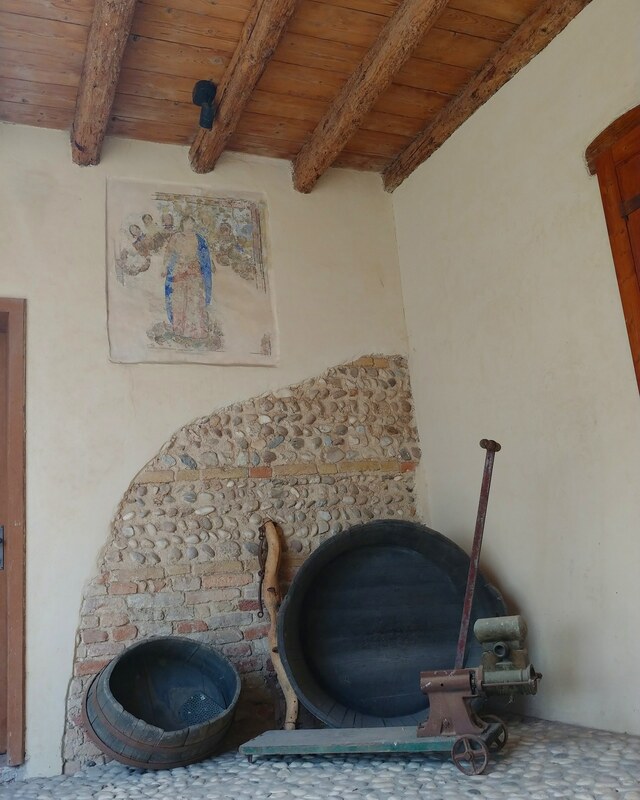 The family has their own Recantina clone registered as “Forner” in the Montello area of Asolo. Recantina typically has very round tannins yet there was structure to this wine created by oak aging and the significant acidity. A real old world charm of dusty earth and cigar box with fresh plum fruit. 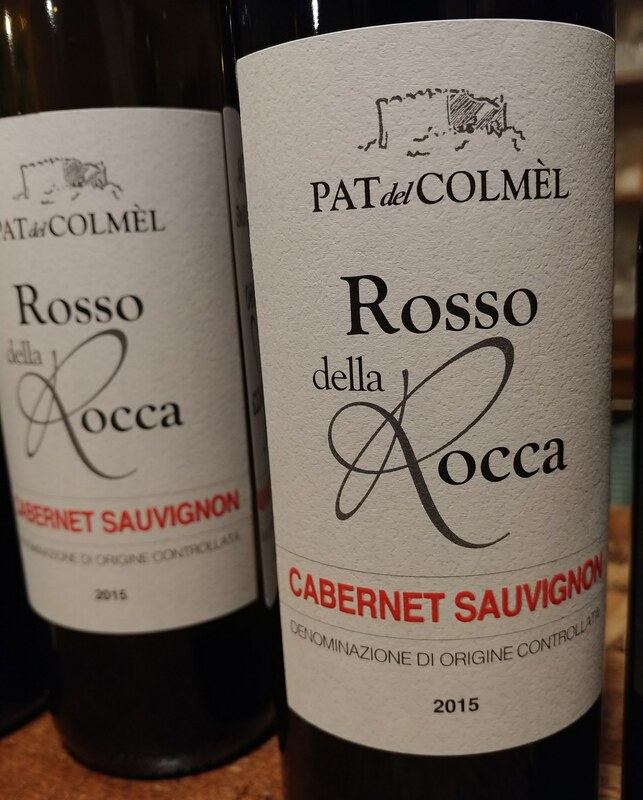 –2015 Pat del Colmèl, Cabernet Sauvignon: 100% Cabernet Sauvignon. Fresh leather, blackcurrant leaf and paprika that had a firm structure that gave lift to the aromatics on the finish. 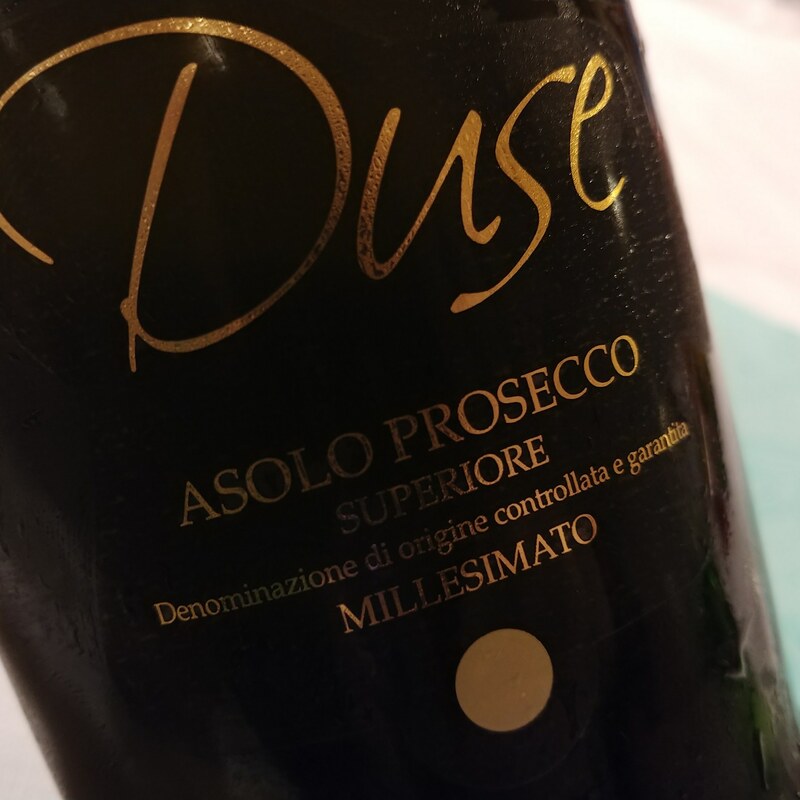 **Asolo Prosecco DOCG wines are shown in research to have a longer shelf life compared to many other Prosecco designated areas due to the higher amount of dry extract in the wines as well as giving an impression of more weight in the body of these wines. **The term Col Fondo, meaning “with the bottom” (sediment or lees are present), as of 2019, will no longer be allowed on the label since one producer has trademarked it – “ui lieviti” meaning aged on lees (sur lie) will have to be used instead. 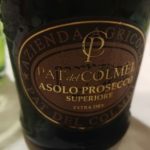 This entry was posted in Uncategorized and tagged Asolo Prosecco, Asolo Prosecco DOCG, Asolo Prosecco Superiore DOCG, Bianchetta, Col Fondo, Dame Wine, Glera, Italy, Manzoni Bianco, Marzemina Bianca, Perera, Prosecco, Rabbiosa, Recantina, Red Wine, Sparkling, White Wine, Wine, Wine Tasting, Winetasting. Bookmark the permalink.